Oh my word! It’s been truly the most amazing September I think I’ve ever experienced! I just got back from a 3 week stay in London, and my husband and I had the most wonderful time. Albeit, we can’t get enough of traveling together, and Samuel is such a great wanderlust buddy so we always have a fabulous time whether we’re travel 3 hours away or across the ocean. London one of my favorite cities to visit, and each time I go, it just feels like home. We love it so much that we’re probably moving there within the year. One of the things I love most about the UK is the FOOD. It.Is.SO.GOOD. While abroad, I was able to indulge in all manner of decadent, amazing foods. It’s one of my favorite things about traveling! There are a wide variety of vegan and vegetarian options to choose from, because many delicious ethnic foods are plant based or meat can easily be left out of a recipe. 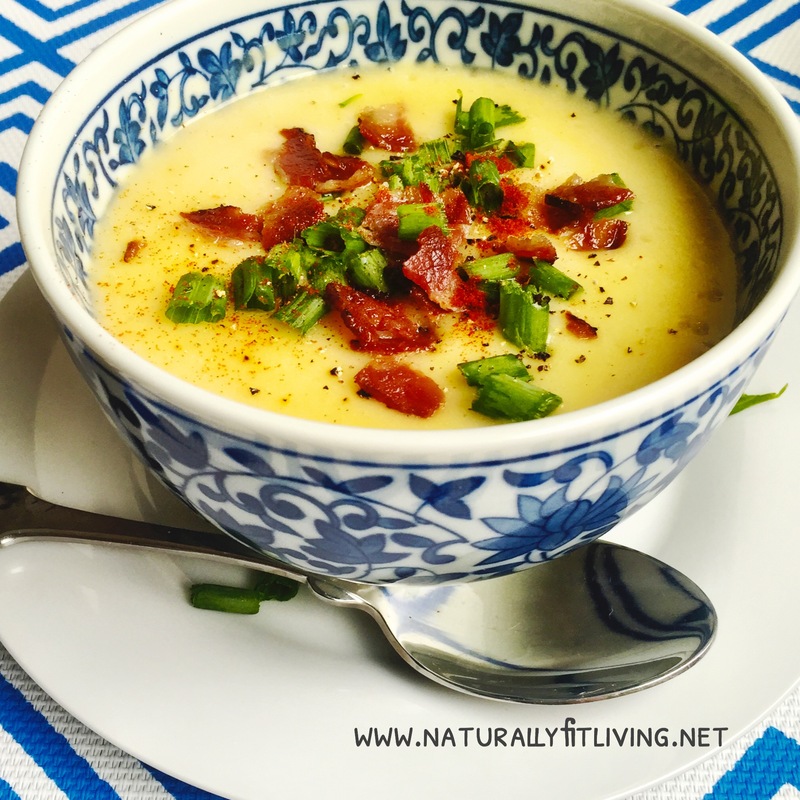 I love soups to a degree that is almost embarrassing, but it’s the perfect comfort food on a blustery London day, so it’s not surprising that when it comes to soups, England #nailsit….but for real. During a trip out to Bath, I tried a dairy free (can this even be?) potato soup that was so amazing, that I knew I’d have to try to replicate it! The universe must have been conspiring against me (or for me? ), because my perfect soup day arrived sooner than I was hoping shortly after flying back into the US. You know what comes with international flights? Not sleep, I’ll tell you that! You do get a random selection of movies and a side of sickness, though! I’m a germaphobe, and I cringe every time I hear someone hacking away nearby me in an air pressure controlled cabin. Sickness is almost inevitable, but I like to pretend like I am impervious to getting ill. I went through the five stages of illness. Denial: NO! I’m no sick! I’m…tired with a dash of sore throat! Anger: I paid so much money to be trapped in a sick zone! Everyone should wear masks! This is how Ebola gets into America, damnit! 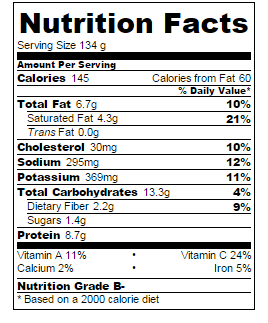 Bargaining: perhaps if I drink a gallon of orange juice now and eat an entire bottle of vitamin C, I’ll be ok? Depression: I have a month worth of socializing to catch up on, why now?! Why God, whhhhhhhy? And finally, acceptance: I’m sick. LET THERE BE SOUP! And there was…and it was so damn good. So delicious, in fact, that my in house carnivorous food snob (aka my amazing husband) raved about it and downed several bowls. Take that, dairy! Why no dairy? Well, there’s a long list of reasons to abandon dairy products and I encourage you to do a little research on this. The primary reasons I avoid (I do occasionally eat goat cheese or imported organic cheeses) dairy is that it’s riddled with antibiotics and hormones. The body also really hates dairy, and reacts to it by increasing mucus production and a slew of other defense responses. As I’ve mentioned before, I’m not quite at a point where I want to totally refrain from cheese, so I always find organic or choose goat cheese whenever possible. 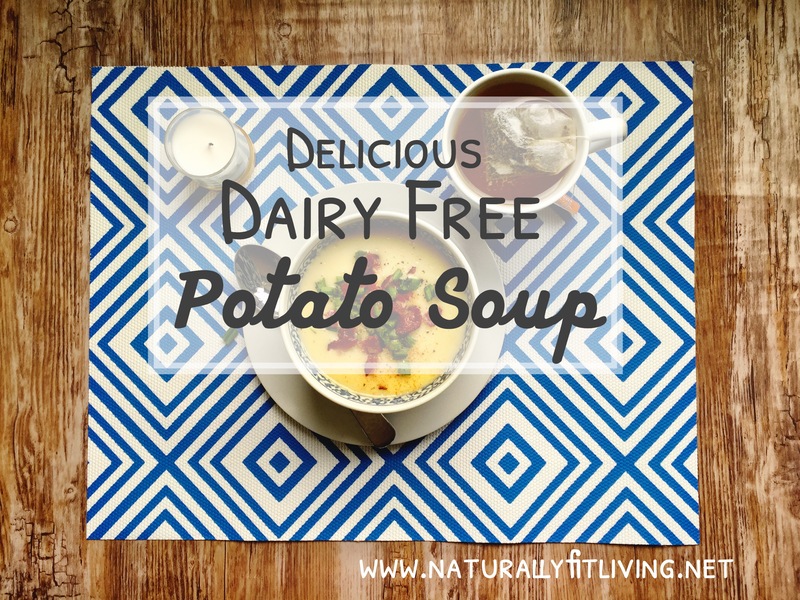 I also find ways to eliminate dairy from recipes, and that’s what I experimented with on this potato soup recipe WHILE SICK! Like a boss, people. Ok, actually, like a weak invalid desperate for soup. And now, on to the recipe! Thoroughly clean the potatoes. Leave the skins on if organic to get amazing minerals and nutrients found in the skins. Dice potatoes and add to large pot of boiling water; add bacon/vegan bacon for flavor and cook until soft. While potatoes boil, saute onions, garlic, and celery and set aside. Cook vegan bacon and set aside for garnish. When potatoes are soft, drain them and add to blender or blend with hand blender. 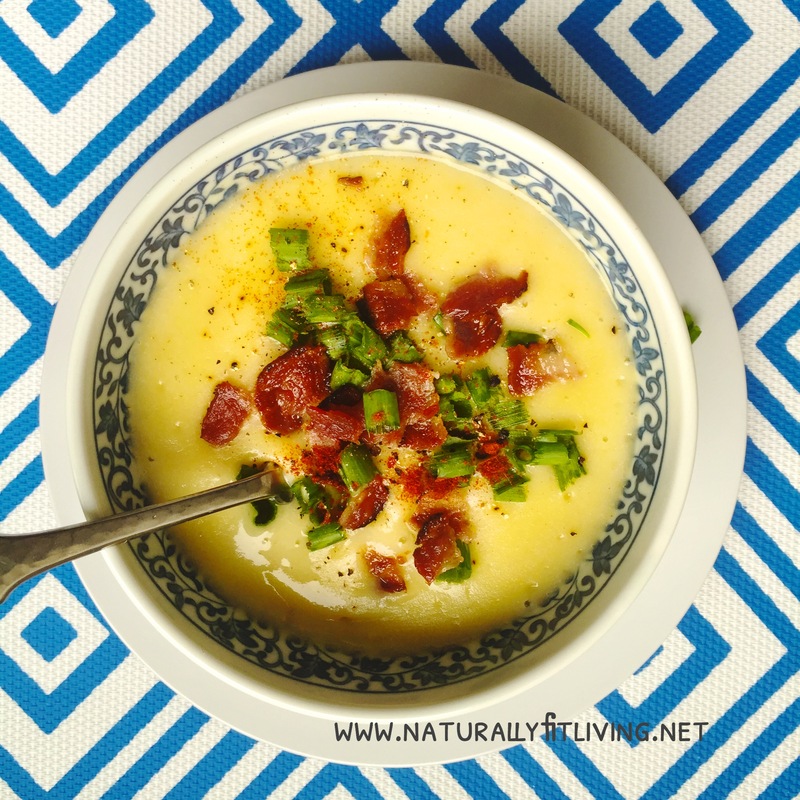 I use a Vitamix, which makes the most velvety, smooth soups imaginable. Add onions, garlic, and celery. Add stock and coconut milk and blend, starting on low speed and working up to a higher speed. Blend until creamy, smooth texture is achieved. Serve hot and top with crispy vegan bacon, green onions, and pepper. It’s so good, it just might heal you if you’re sick…maybe. I’m still doing research on this. I guess I’ll have to eat some more soup to find out;) Much love and lots of spice from my kitchen to yours!